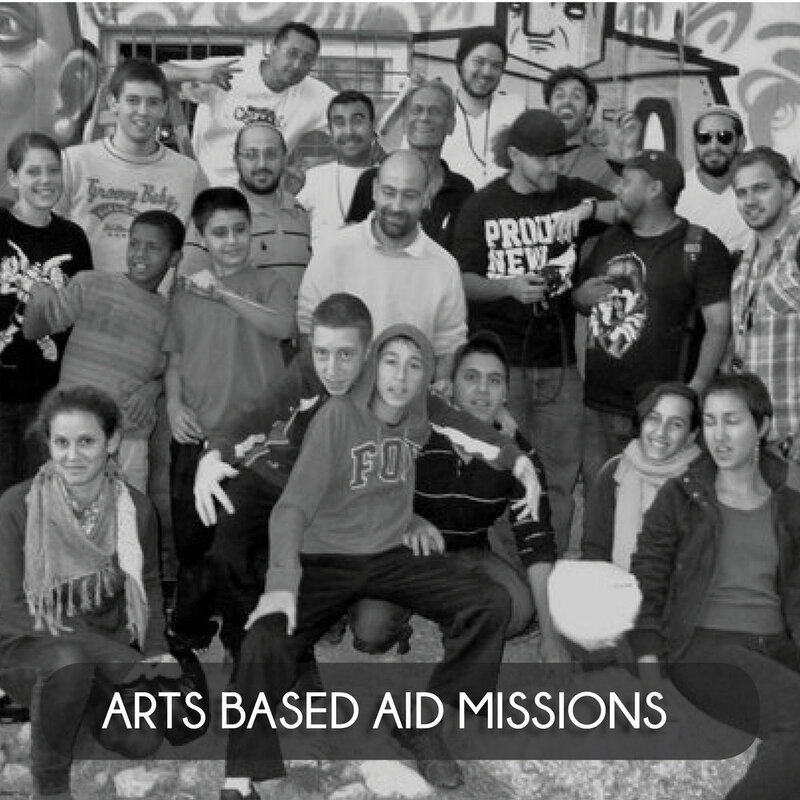 Unique arts based programming that unites diverse student groups together to learn about themselves, each other and Israel and to create art-work in support of peace and unity. 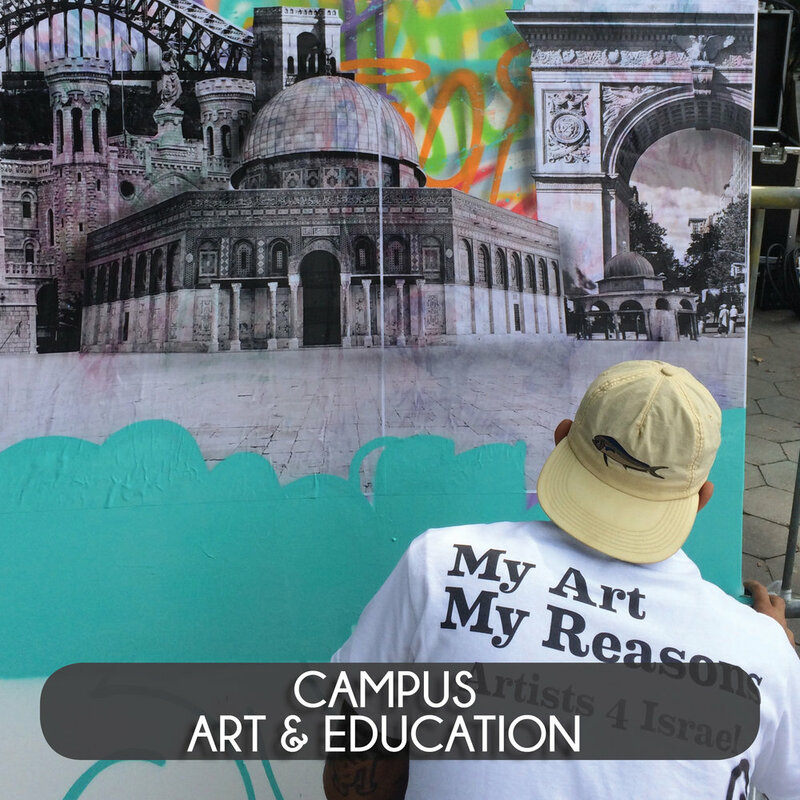 Artists 4 Israel brings well known and talented, non-Jewish, tattooed, pierced, cool, male, female, black, Asian, Latino and Italian graffiti artists to the center of campus to paint a giant Israel or Jewish related mural on 10 foot tall graffiti walls. They work with the students, an average of 400 (with some crowds more than halfway to a 1,000 students) who attend our program, spotting the art from across campus, to paint a secondary mural also expressing their support for the nation. At least one of the artists has traveled to Israel on one of our other programs and can speak personally and passionately about their experiences. Over the 5 hours of the event, hundreds of Jewish and non-Jewish students attend, interact, participate, take photos, update their social media and learn. Thousands passively join by stopping, snapping photos and sharing the images on their social media. An experiential, intersectional and participatory creation of beautiful art led by unique non-Jewish artists painting large peace, Israel and art themed murals in the center of campus. All students are invited to participate in spray-painting their own positive message with our artists’ expert guidance. Artists are also available to speak about their personal experiences in Israel. Average over 400 diverse student participants per campus, massive social media shares and a permanent piece of art to display. Famous street artist customize free t-shirts with graffitied images and words of the students’ choosing. Students wear the shirts around campus throughout the year, giving consistent reminder of the day they connected with Israel. The personalized shirts capture student interest and we have had lines up to two hours long of diverse students waiting for their chance to get one made. Tattoos and celebrity artists inspire emotion and attract a wide audience, we tell the real stories of Israeli terror victims and war heroes who chose to cover their scars, physical and emotional, with works of art as well as show the fun and historic sites of Israel through the eyes of visiting artists. Tattooed in the Israel Museum around ancient artifacts and priceless works of art as well as in Tel Aviv on the site of January’s terror attack, this is the quintessential story of Israeli resilience and fighting war with beauty. It is also a unique display of Israel’s many wonderful people, places and ideas. A behind the scenes looks at television stars, famous tattoo artists and survivors enjoying Israel and learning about the world and themselves. Joining students around the country in working to prevent PTSD. Each one of our Healing Arts Kits comes with a card from a student expressing their support, love and hope for the child receiving the Kit. 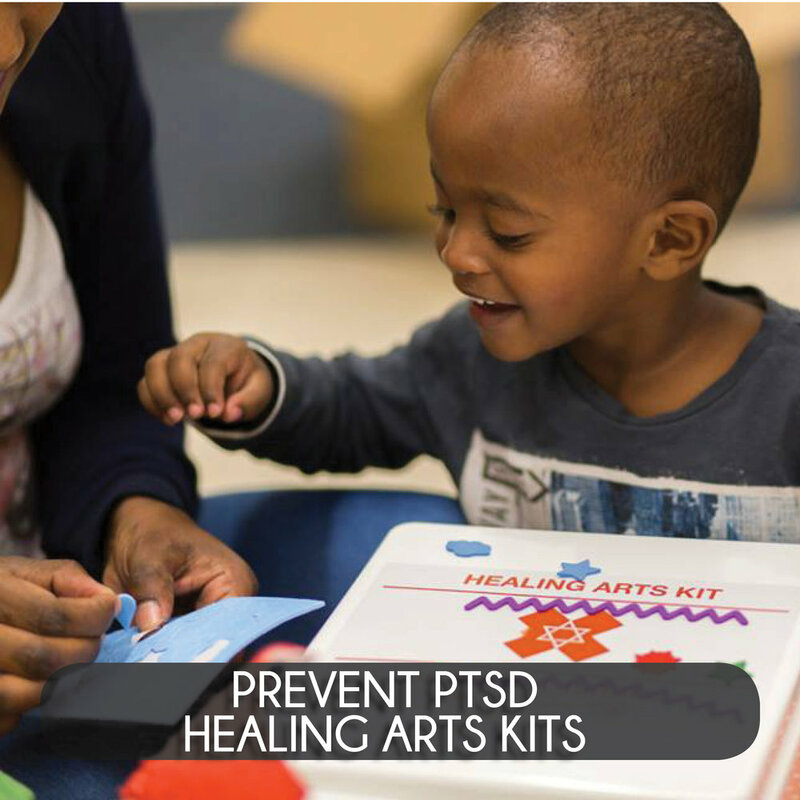 Help write your message and even pack some Kits knowing that what you do goes directly to help stop new cases of PTSD for children living through traumatic experiences.